For a science project, the Comets and Satellites had a ship building competition. 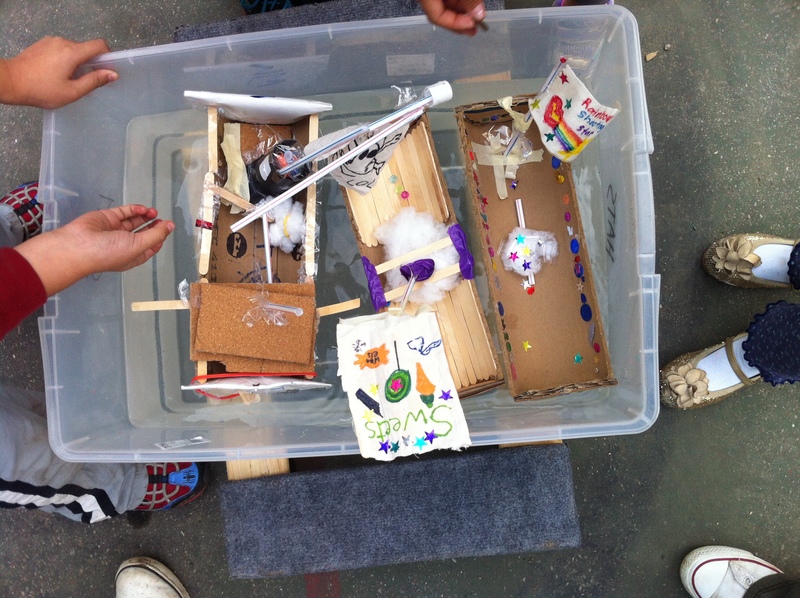 Four teams created boats out of cardboard and recycled materials. Each boat also had a cloth sail with the team name and logo. Scott was very impressed with how hard the children worked and the teamwork they showed. Each boat successfully held sixty pennies, a glue bottle, and plastic toy. The winning team was Team Sweets. Rainbow Shooting Stars and Lego Boys tied for second.